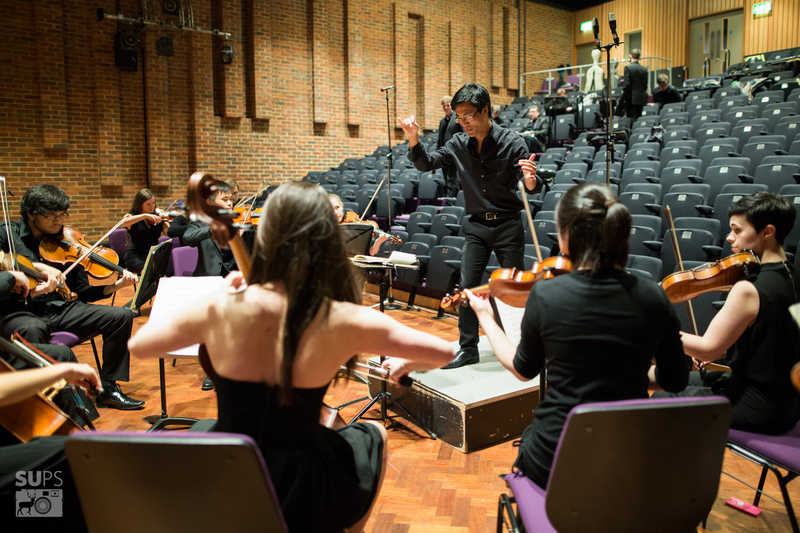 It is with great pleasure that the Southampton University Sinfonietta opens our 2017/18 season with Schubert’s Unfinished Symphony – a poetic homage to the rest of our year. In the 2o years since our formation, Sinfonietta has distinguished itself for the high standard of performance and unique opportunities for successive generations of the most talented musicians. This seasons programme is a true celebration of our finest players, and it is an honour to welcome back Jamie Wall, previous Assistant Conductor in 2015/16, who has gone on to pursue a career as a freelance trumpet player, and Henrietta Cooke, a longstanding member of Sinfonietta who will be playing the Cor Anglais alongside him in Quiet City. We are also working with Emily Wilson who was president of SUSO and a keen member of Sinfonietta. She will be premiering Andrew Fishers “Bass Clarinet Concertino” an exciting new work for this orchestra to tackle. We will be ending the year performing Pulcinella as a celebration of the orchestras hard work over the year. We are delighted to welcome Benjamin Oliver, Chloé van Soeterstède and Alexander Walker, three brand new conductors working with us and our first female conductor in 20 years! We are all grateful to each for presenting such an exciting programme of music. From auditions to the first few rehearsals, and now the lead up to this concert the orchestra has come together beautifully and I am excited for not only the concerts but the following year of music making.